Provide assistance to those considering bioethical issues. We encourage you to visit and use our Meditation and Prayer Room. This quiet and sacred place is available to you for times of reflection, prayer or meditation. The room is designed to accommodate people of all faith traditions. 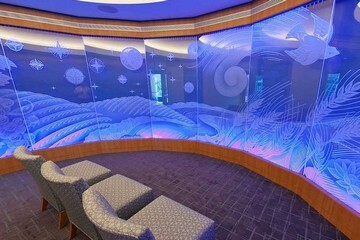 The Meditation and Prayer Room is located on second floor of the Bill Holmes Tower. Mass is held in the Meditation and Prayer Room, located on the second floor of the Bill Holmes Tower. Muslim prayer time is held in the Meditation and Prayer Room, located on the second floor of the Bill Holmes Tower. Christian worship service is held in the conference rooms on the the second floor of the Bill Holmes Tower. A chaplain is also available 24 hours a day for emergencies. Please ask your nurse if you would like to request a visit with a chaplain. For more information about our spiritual care services, please call 714-509-4381.